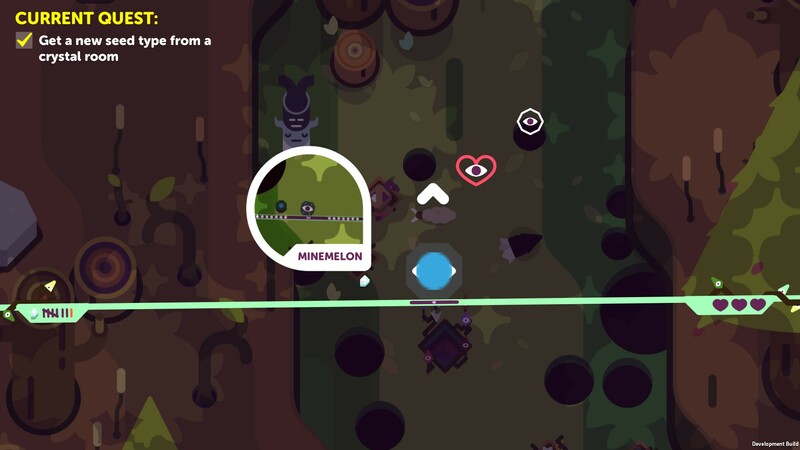 Go to your itch library (https://itch.io/my-purchases) and click on "Download" under TumbleSeed and that page has your Steam key. If you die in the Snow biome and watch yourself putter down the mountain (without pressing A) the snow effect follows you all the way down and is still there when you start the next round. At one point a bunch of the quest dialogues would overflow off my (1080p) screen. Not sure if that's still the case because there's been 2 new builds since I finished all the quests. (it's not behind that pillar and it's not behind the building. It was against a wall on the left and there was a wall below it, the hole was fully obscured by the wall below it. There are still situations where there are totally obscured holes. This feels super unfair! I've been thinking about this, I think the text you suggested would be a good idea. Like you said, I'm in a weird place because I got good at the game before quests were even introduced, so I don't really have the proper experience--I'm trying to power through the quests because I want to see what they are, so something like this that gets in my way feels awkward. I have another idea, and maybe this defeats the purpose entirely (trying not to play backseat game designer here) but I figure I'll suggest it anyway. Maybe you could streamline the quests, but find a way to mechanically emphasize that getting to the top is more important. Like, if a player regularly makes it well past the teleporter quest block they're working on, they could skip straight to the next block. Like if I'm working on the Jungle teleporter but I've already made it to the Desert a dozen times, let's just skip ahead. 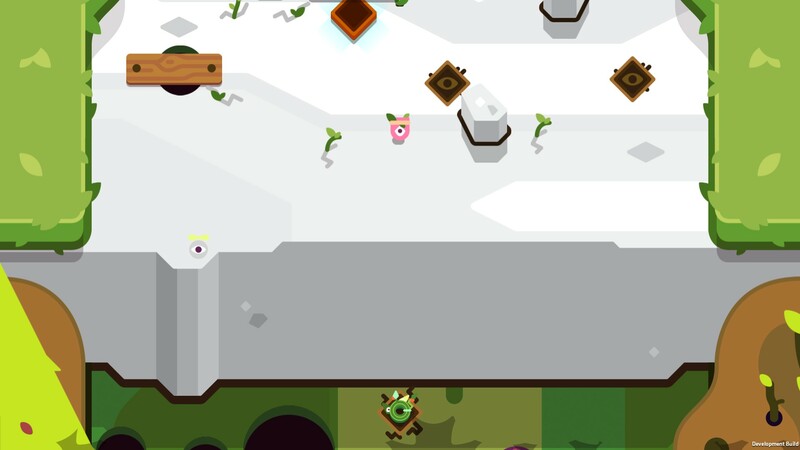 This is sort of similar to the approach Spelunky had with teleporters. Does that make any sense? According to the leaderboard, nobody has beaten the game on this build. I'm cautious to play the difficulty card, but are the desert and summit too hard right now? Feels like too many aiming turrets maybe? I definitely appreciate the removal of spawners from Jungle, those had the potential to ruin your economy if you weren't paying attention. Unrelated: when you press A after a daily challenge it sends you to the main menu. This is better than just restarting, but I'd much rather go straight to the daily leaderboard, since I do this manually every day. 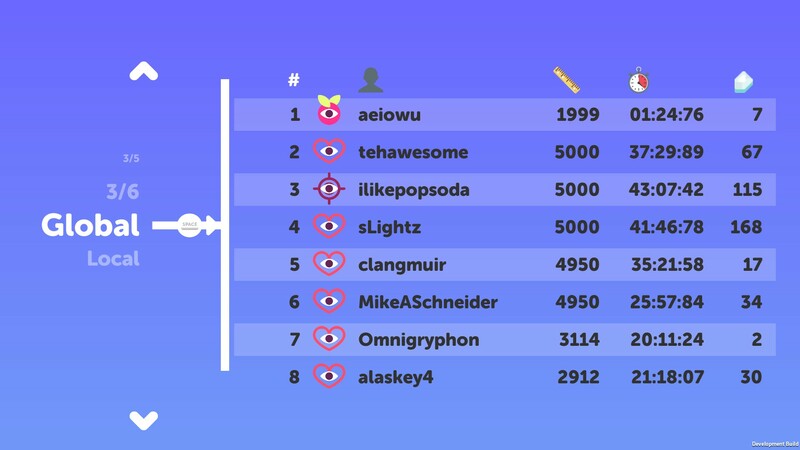 Or maybe integrate the daily leaderboard into the game over screen somehow? (Maybe just "Rank: #5 of 25" or something?) Something about the way the UI works right now doesn't "feel" like a Daily Challenge, it doesn't make that "well that was my only shot!" as explicit as it should. I saw a longspore (horizontal) pre-planted plot but when I rolled over it the plot switched to a tallspore (vertical) and it had the effect of a tallspore. This was fixed in the 0.7 update! I think you might be right, I was just able to replicate it by hitting a spring with a lot of speed when there was a hole on the other side. 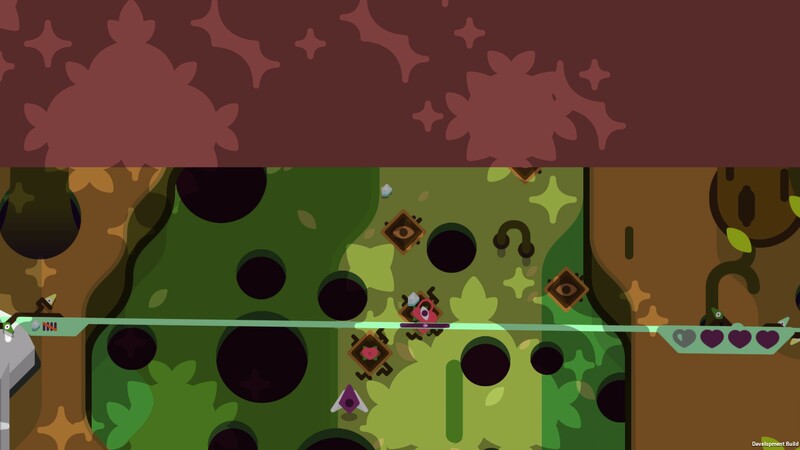 The level indicator on the vine went right over the hole. Of course I forgot to capture video before I opened up the game with the intention of replicating a bug! Maybe later. Your summary is accurate, it launched me up and loaded the camp but also did the whole fall sequence. It just happened to me again, this time at the jungle->desert camp, but I don't remember about the momentum. Maybe. I'll pay better attention next time. Still experiencing this issue. Note that there wasn't even a hole on the spring--no idea why I even "fell". This time I had enough hearts that I didn't die, and the vine never came back, so I just floated here soft-locked. Quest order seems a bit off with "use non-default seeds 15 times." I was in the desert when I completed it; the quest before and after were way easier. Also, the quest flow feels clunky to me. After I complete a quest, I have to return to the bottom of the mountain and go into the quest house, and then I have to go up the mountain again (or restart) to get my next quest? Why can't I do both at the same time? Was it designed this way to somewhat deephasize quests so you feel more inclined to go up the mountain? 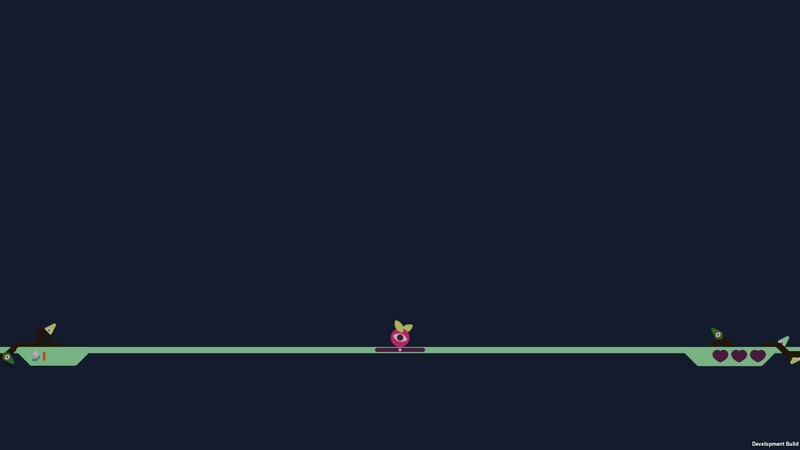 It still feels inelegant (which is really out of place in TumbleSeed! The game is really tightly designed overall). 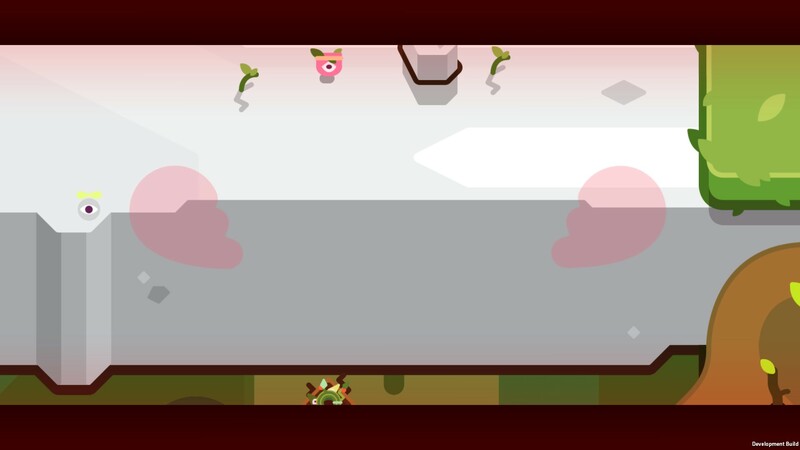 If you have thorns from outside the room, you can use them to kill targets in the cannonspore challenge rooms. This is maybe ok? Your call. 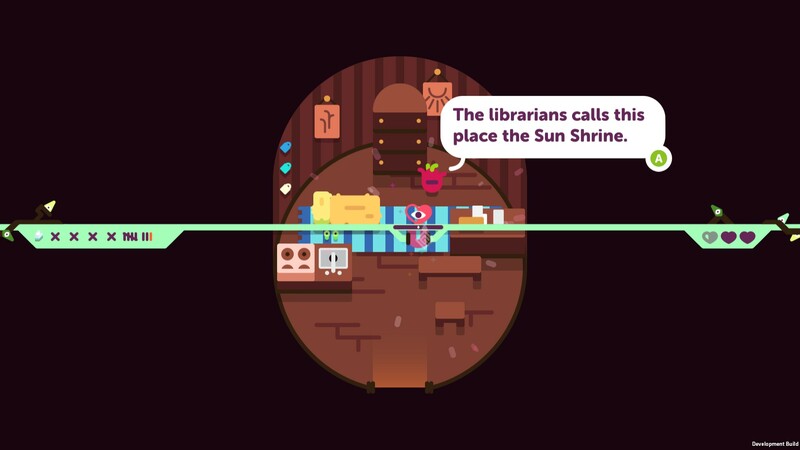 I fell into a crystal room at the same instant the ***** **** smashed me, so while the camera went down to the underworld my TumbleSeed was nowhere to be seen. When I pressed A i saw the bottom of the seed switch screen, as if the seed was somewhere above what was visible. I couldn't move the vine at all. Kind of a weird one. 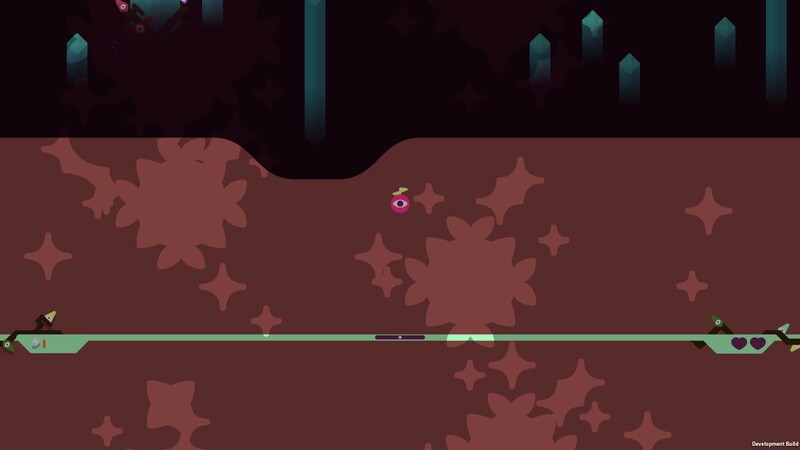 If you complete the tutorial with a partially-completed Crystal seed, you'll begin your first run with it still partially completed, so you could get crystals from your first plant. I hit the spring to go into the next biome from the forest, but apparently I somehow also fell into a hole at the same time, so once I was in the camp for the rainforest it did the whole falling animation and took away several hearts, and then I was somehow in the camp with no seed? Very strange. Hard to replicate because you need a spring to spawn very close to/inside a hole. Easiest way to fix this is probably to just make it so exit springs can't be too close to holes. My guess is that this is related to the loading change made in the latest update--you're teleported to an area that hasn't been generated yet. Note that to get the softlock you have to restart before the falling animation finishes. I tried to do this right near the start, but I could only replicate it once I had moved further up the biome. If an Avalanche is initiated and then you go into a crystal/challenge room, the snowballs still show up in the underworld. The Vampire aura and the Flytrap seed don't interact properly--if you kill something with a Flytrap, it doesn't give you the heart quarter. 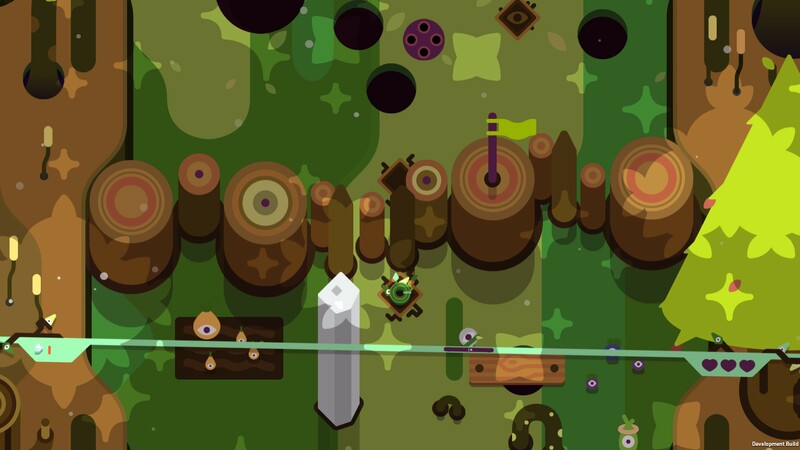 I figured out that bug where you can't see the level! I made a video to show how I replicated it. Seems to happen if you quit while in a crystal/challenge room and then play again. Tallspore + Homing aura is quite the powerful combo. The aura says "homes slightly" but it sure doesn't seem "slight" to me (the bottom shot curves all the way around to hit an enemy above me). Should probably fix either the aura description or the homing amount. I think this was mentioned before but there's still a softlock if you press A just as you're springing out of a crystal room. If you die in a holes-and-buttons challenge room, the music never stops playing, even as you start another run. 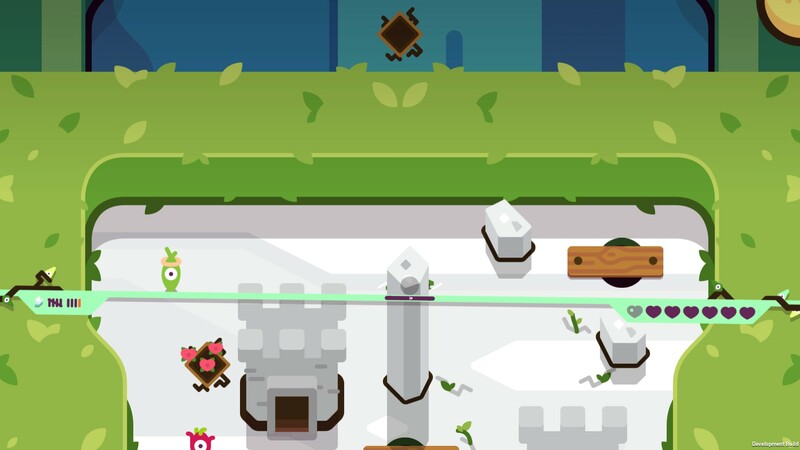 And the bottom floor of the challenge room doesn't seem to be solid--you can steer yourself left and right with the vine under the floor not touching TS. This took me a little bit to figure out. When you pick a seed, the door to test that seed closes. You have to try before you choose. So what happened is you chose Thwomp, but then tested Avalanche on the other side because you only saw one door. Man this new update is pushing certain parts of this game into FEZ/Hyper Light Drifter territory, aesthetically. The new art and audio is incredible. The wheel guy in the camp could use some animations to make it clear that it's like a slot machine in Isaac, maybe this is already planned but unfinished but I figured I'd bring it up. I'm finding that the videos are encouraging me to use the nonstandard seeds more frequently, which is weird since I know most of them are the same as they were before! I think the "this may hurt you" text just scared me off those seeds. BTW, I think free seeds need some sort of symbol to indicate that instead of just no crystals. I agree with @tehawesome that it feels like the game got a lot harder, but it's also been over a month since I played it last. 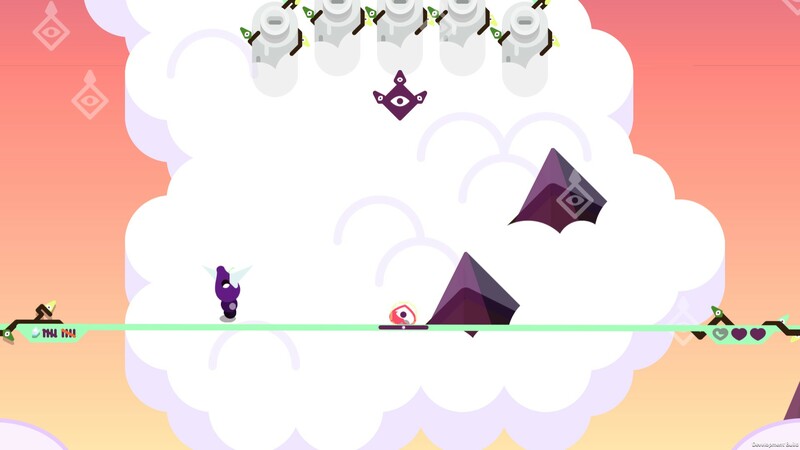 We should probably play the new build a lot more before we officially declare it unbalanced though! The cloak seed doesn't work with the dummies in the test room, which kinda defeats the purpose! Feels like in the latest update the hitbox for falling into holes if you're leaning against a wall changed. Things that definitely didn't kill me before are killing me now, which is really frustrating. Is this intentional? There's no way to view the hot new seed preview videos in the store! Intentional? I can't complete the "get a new seed from a Crystal Room" quest. I pick up a seed from the crystal room and the quest isn't marked as completed.